Located in Alexandria, The Virginia Lodge is within a 15-minute drive of Nationals Park and George Washington's Mount Vernon. 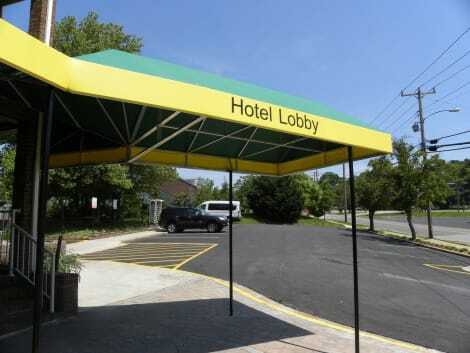 This motel is 8.9 mi (14.3 km) from Lincoln Memorial and 8.9 mi (14.3 km) from Arlington National Cemetery. Located in Alexandria, Quality Inn Mt. Vernon is within a 10-minute drive of Greendale Golf Course and George Washington's Mount Vernon. 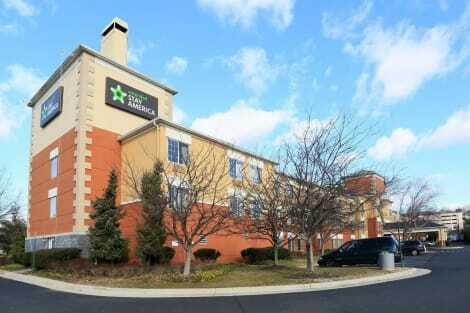 This motel is 4.3 mi (6.9 km) from TopGolf Alexandria and 4.3 mi (7 km) from United States Patent and Trademark Office Museum. With a stay at Days Inn by Wyndham Alexandria in Alexandria, you'll be within a 15-minute drive of Lincoln Memorial and Kennedy Center. This motel is 8.1 mi (13 km) from Arlington National Cemetery and 8.8 mi (14.1 km) from George Washington University. 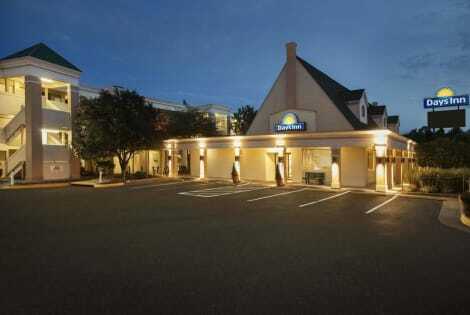 Ideally situated just two blocks from the King Street Metro station, in the charming historic district of Old Town Alexandria, Hilton Garden Inn Alexandria Old Town offers easy connectivity to Reagan National Airport – just two Metro stops away. A combination of early American heritage and modern, cosmopolitan sophistication, Alexandria, Virginia, offers a vast array of activities, from fine dining to boat cruises, specialty shopping to museums. 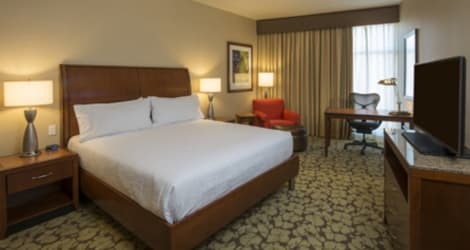 Take a trip to Washington D.C., ride the free Old Town Trolley down King Street and visit attractions including the National Harbor and George Washington’s Mount Vernon.Feel at home in a spacious guest room at this Alexandria, VA, hotel. Work in comfort at the ergonomic desk and check emails with complimentary WiFi. Watch movies on the HDTV or play music through the alarm clock with MP3 jack. Keep drinks cool in the mini-refrigerator and heat snacks from the 24-hour Pavilion Pantry® in the microwave.Stay productive with useful services like faxing and printing in the complimentary 24-hour business center. 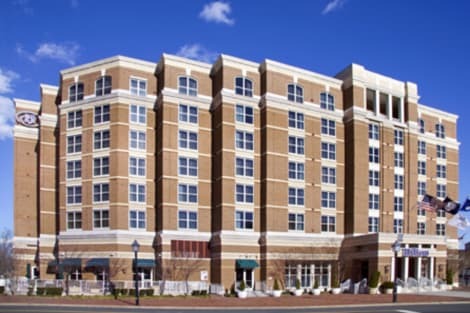 Organize a training event, business meeting or small wedding at this hotel in Alexandria, VA, with our 603 sq.ft. meeting room, and take advantage of contemporary A/V technology.Maintain your exercise regime in the complimentary fitness center, which overlooks the beautiful rooftop terrace. After a busy day, relax by the fire pit on the terrace, or savor a glass of wine or a cocktail in the warm and welcoming Garden Grille & Bar, which serves delicious American cuisine for breakfast, lunch and dinner. 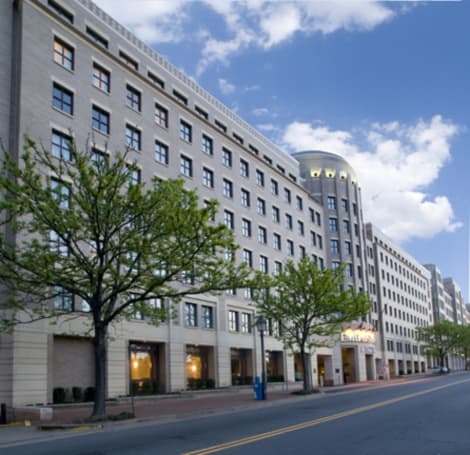 Located in the historic and vibrant King Street neighborhood, the Hilton Alexandria Old Town hotel is one of the most convenient hotels in Alexandria, VA for business and leisure travelers visiting Washington, DC. The hotel is just steps away from King Street Metro station and close to Reagan National Airport. Downtown DC attractions and government buildings are minutes away by Metro. After a long day exploring DC, reinvigorate with a workout at the fitness center.Modern guest rooms and spacious suites provide Guests with a relaxing sanctuary after a busy day. Enjoy upscale amenities, tasteful decor, flat-screen televisions and the Hilton Serenity Bed in every guest room at this hotel in Alexandria. Stay connected with WiFi available throughout the hotel. Seagar's Restaurant & Lounge offers mouthwatering steak and seafood for lunch and dinner, as well as breakfast each morning.The Hilton Alexandria Old Town hotel’s flexible function space and its picturesque location make it the ideal venue for a business meeting or event near Washington, DC. Providing modern comfort and a refreshing standard of service in a charming old-world setting, this Alexandria, VA hotel has everything you need to enjoy a hassle free stay. Enjoy seeing more of Old Town via the free King Street Trolley or take the Water Taxi to see more of DC and nearby Georgetown. Located in Alexandria, Red Roof Inn PLUS+ Washington DC - Alexandria is within a 15-minute drive of Nationals Park and Birchmere. This hotel is 8.6 mi (13.9 km) from Lincoln Memorial and 8.6 mi (13.9 km) from Arlington National Cemetery. With a stay at Comfort Inn & Suites in Alexandria, you'll be in the suburbs, within a 15-minute drive of Fashion Center at Pentagon City and TopGolf Alexandria. This hotel is 9.8 mi (15.7 km) from George Washington's Mount Vernon and 9.9 mi (15.9 km) from Birchmere.